Ah! The sandwich.. the world would be so different without it! Since this blog is about food – discovering, making and enjoying it – I think it’s high time that we give some importance to sandwich ideas.. of which there are many. We all love to have a sandwich every now and then, despite the ‘bad reputation’ that bread is suffering at the moment. Yes.. those ‘evil’ carbs are not so popular at the moment. 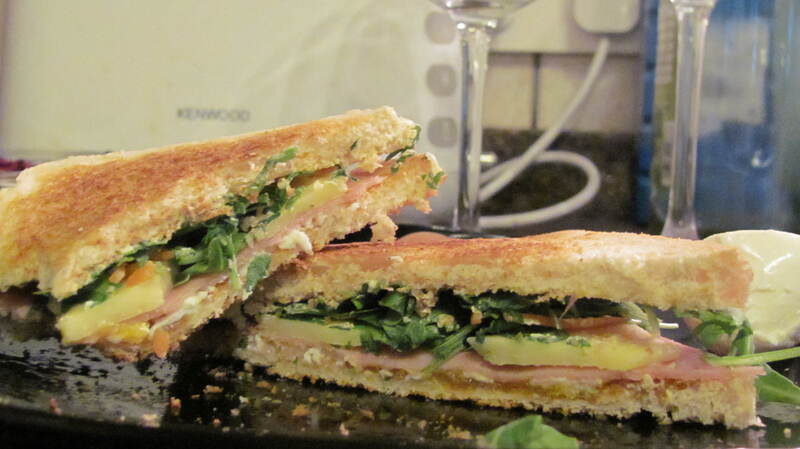 And yet the sandwich lives on, always present, always forgiving current trends. Immerse the eggs into water so that they are completely or almost completely submerged. To prevent the shell from cracking, bring the eggs out of the fridge a short while before using, so that they warm up to room temperature. Let the water boil. The time they need depends a lot on the size of the eggs, most eggs will be hard boiled after 8-10 minutes. 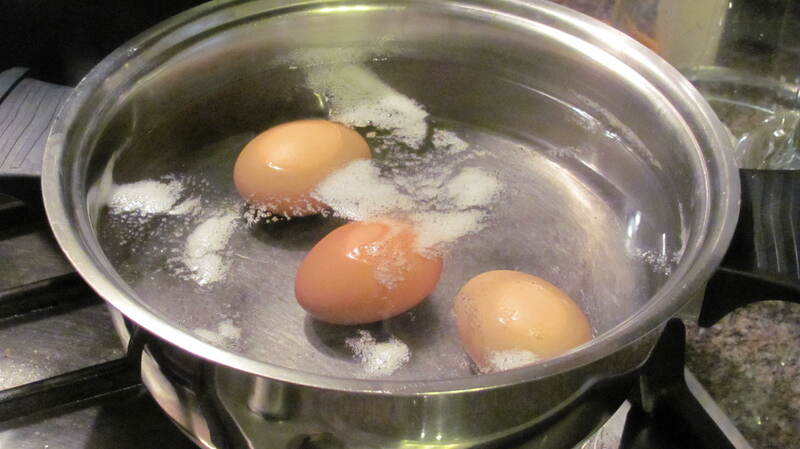 If you count from when the water has started to boil, small eggs will be hard-boiled after 3-5 minutes. 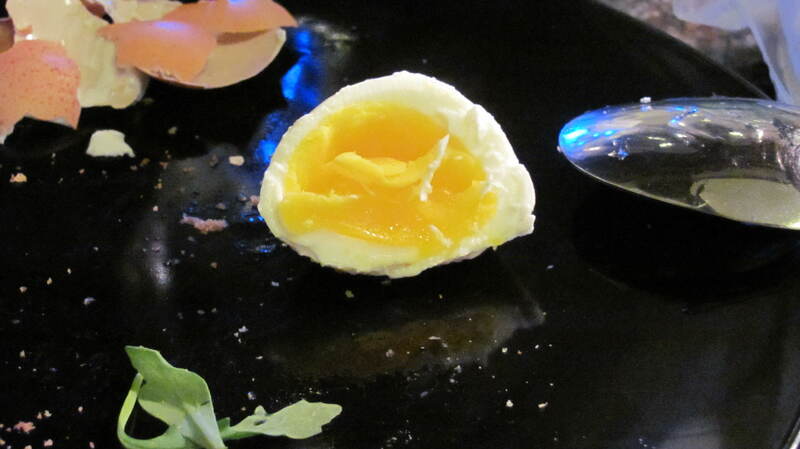 Once you have switched off the heat the egg will keep cooking a little bit extra in its shell. If you need to use it immediately, run it under cold water for a few minutes as this will shrink the egg slightly and so facilitate peeling. 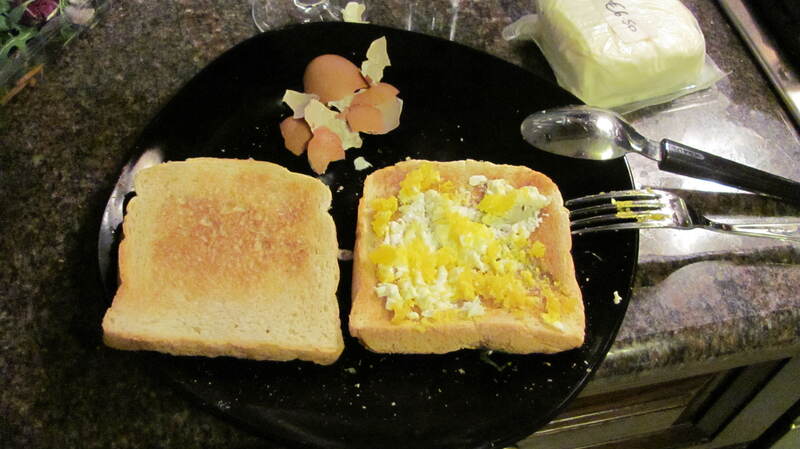 Cut the egg in half and mash a half into your slice of bread. Spread some butter on the other half and layer your other ingredients in between the two slices. This entry was posted in Sandwich ideas. Bookmark the permalink. This has made me hungry. I want an egg sandwich NAO.